The below was submitted by Eric Gurr, who is running in next week's Republican primary against Speaker of the House John Boehner. Photo courtesy gurrforcongress.com. Come and meet Eric and ask questions to get to know the candidate. 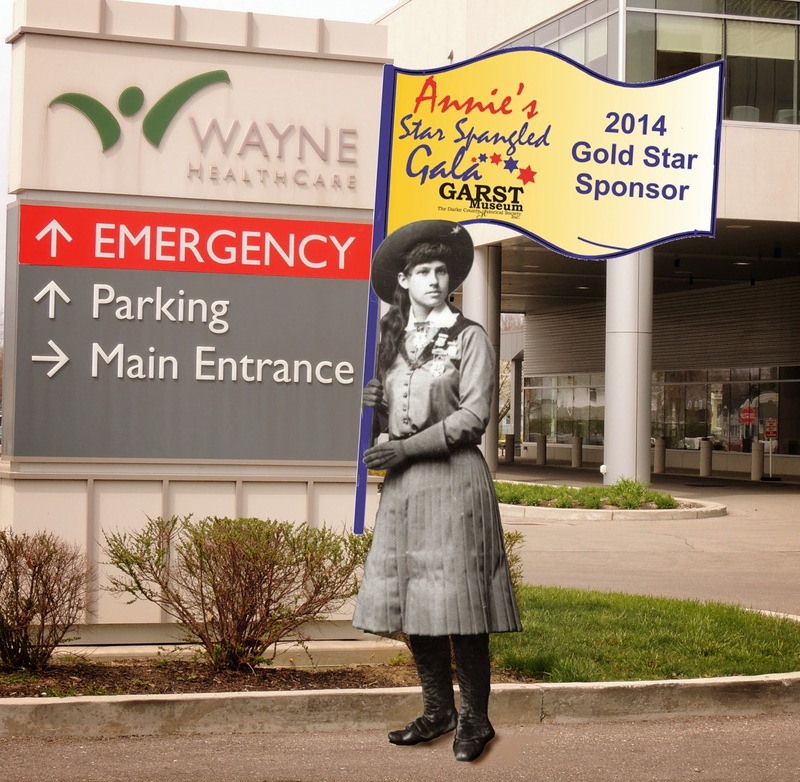 Annie delivered a Star Spangled Gala Banner to Wayne HealthCare in recognition of their sixth year in a row Gold Star sponsorship of Annie’s Star Spangled Gala fundraiser for the Garst Museum and The National Annie Oakley Center. Annie’s Star Spangled Gala will be held on Saturday, June 14, 2014 starting at 6:30 pm. This is a fundraiser for The Garst Museum and The National Annie Oakley Center. All funds raised at this event will benefit the Garst Museum in Greenville, Ohio. This special event will help provide school-age children with a ‘backpack’ of food for them to take home on the weekends throughout the school year. So, dust off your dancing shoes and dawn your best suit or gown for an unforgettable evening of dining and dancing. 100% of the tax deductible ticket price will go directly to Grace Resurrection Community Center (GRCC) to help with this life-changing ministry. Cost for this meaningful evening is $50.00/ couple or $25.00/ individual. 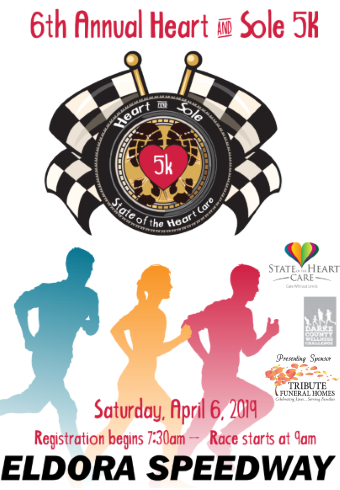 Tickets may be purchased at the Bread of Life Bookstore, Moody Auto Sales, Paula's Diner, Keller's Drive-Thru or by contacting Kelly Fliehman at 316-4878 or Sharon Fellers at GRCC 548-2595. Please help to feed our children today so they may have a brighter tomorrow…. L to R: Versailles Health Care Center’s team consisting of Jackie McEldowney, Betsy Yagle, Chris Huber, and Alyssa Kemper. Versailles Health Care Center recently participated in the “Race to Remember” held by Sterling House/Clare Bridge of Greenville. VHCC’s team placed third out of 16 teams in this year’s race. The race started at Spirit Medical Transport in Greenville and each team caption was handed the first clue to begin the race. Teams arrived about 3 hours later at their final stop, Sterling House of Greenville. 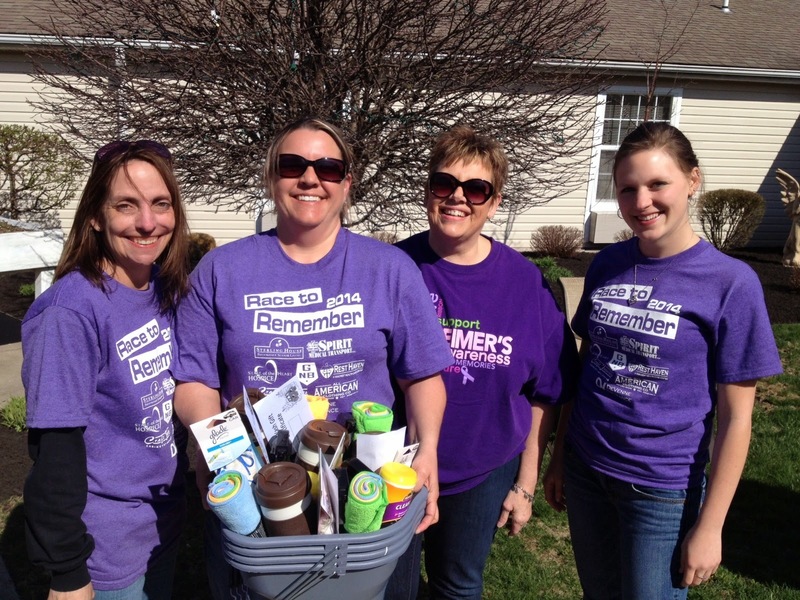 Proceeds from this event were donated to the Miami Valley Chapter of the Alzheimer’s Association. Versailles Health Care Center is a skilled nursing and rehabilitation center that offers short-term rehab services, outpatient therapy, and long-term care. Versailles Health Care Center sent home 166 patients that utilized its short-term rehab services in 2013 and 159 patients in 2012! If you are interested in learning more about Versailles Health Care Center, call 937-526-5570 or visit www.versailleshealthcare.com. The New Madison Tri-Village Alumni Committee wishes to invite all New Madison and Tri-Village graduates for an evening of reminiscing and renewing old friendships at the annual alumni banquet to be held at Tri-Village High School May 17, 2014. This year’s honored classes are: 75 year Class of 1939, 50 year Class of 1964 and the 25 year Class of 1989. Special recognition will be given to the graduating Class of 2014. 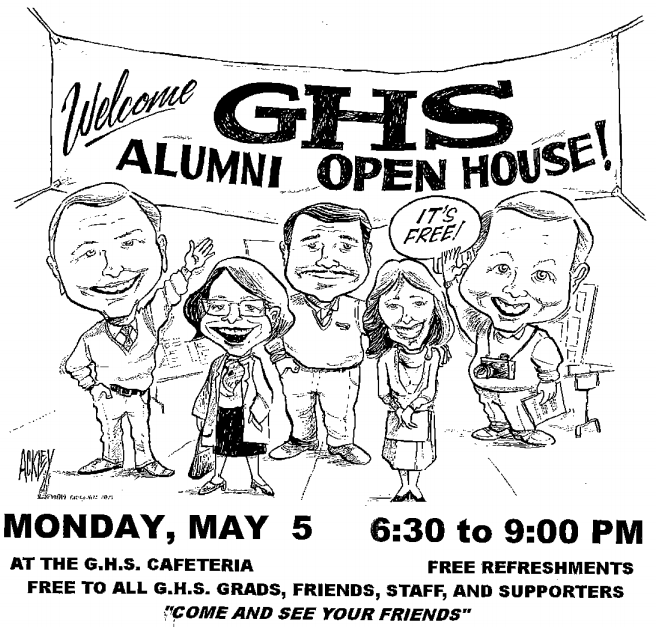 Invitations are mailed only to the honored classes with a mass mailing every five years. If you are not in an honored class please contact Monyca Schlechty at 937-548-0725 to place a reservation. Deadline is May 10, 2014. The following was submitted by Donna Kemp, the owner of Premier Senior Insurance in Greenville, OH. Premier Senior Insurance helps retirees transition from the workplace into retirement. You can visit them online at www.premierseniorinsurance.com if you would like to see more articles of interest. According to a recent Money Magazine article, there is an alarming trend emerging which is resulting in big bills for Medicare patients. This trend has to do with Skilled Nursing Facility care and Medicare’s requirements for covering it. And if a service is not Medicare approved, you are on the hook for the full bill, which could cost in the thousands of dollars. And Medicare Supplement insurance follows Medicare’s decisions, so that won’t help either. So, let’s find out what Skilled Nursing Facility care is, what is causing the problem and what you can do about it? Skilled care is healthcare given when you need skilled nursing or rehabilitation staff to treat, manage, observe and evaluate your care. This type of care is typically given in a Skilled Nursing Facility which could also be a Long Term care facility. An example would be a patient who has undergone a joint replacement and needs to go to a facility temporarily to get rehabilitation so they can get back on their feet. If your stay is Medicare approved, Medicare fully covers the first 20 days of skilled care and all but $148/day for days 21-100, and many Medicare supplement plans will pick up this daily copay amount giving you a total of 100 days at no cost to you. I recently spoke to a Medicare patient who received a bill of $12,000 for a rehab stay that was not Medicare approved. Of course she wasn’t aware of it until she got the bill. Ohio State Beekeepers Association’s June 7th Summer Conference in Oxford OH kicks off with a Friday, June 6th tour of a commercial beekeeping facility and a cookout, hosted by the Butler County Beekeepers Association. Breakout educational sessions led by nationally renowned speakers and popular local presenters on Saturday will have topics of interest to beekeepers, gardeners and environmentalists. More details and registration information at: www.ohiostatebeekeepers.org . Ohio State Beekeepers Association’s goal is to provide beekeepers across Ohio with educational opportunities, information and support. The Versailles Area Historical Society is pleased to announce that the museum at Versailles is opened each Sunday or by special arrangement. We now have a special display through May celebrating St. Denis and its 175th anniversary. The museum is featuring special displays honoring six businesses that have continued in the village for over 100 years. They include The Versailles (Building) Savings and Loan, Worch Lumber Company, Versailles Feed Mill, The Inn at Versailles (Ward Hotel etc. ), The Versailles Policy, and the Edwin F. Nickol Monument Company. We think you’ll enjoy these interesting displays and stories that are the fabric of the Versailles community. Also the DeMange Family Band featuring the sixty year history of the most noted area family band is now a featured display in Gallery II. A very interesting Native American display and toy display are in the Harman Niche. Also look for the answer to why you “should sleep tight”. Tuesday, April 29, 2014 — The strong storm system that has caused devastating tornadoes in the South and Midwest is moving eastward, threatening other parts of the country for the next several days. The American Red Cross Darke County Chapter has safety steps people can follow and urges everyone in the path of this storm to get prepared now. Download the Red Cross tornado app onto mobile devices. People can use the app’s “I’m Safe” button to let loved ones know they are okay and find the location of Red Cross shelters. The app also includes a siren and warning alert that signals when a tornado warning has been issued, as well as an all-clear alert that lets users know when a tornado warning has expired or been cancelled. Pick a place where family members can gather - the basement, a center hallway, bathroom, or closet on the lowest floor. Keep this place uncluttered. Watch for tornado danger signs – dark, greenish clouds, a cloud of debris, large hail, a funnel cloud or roaring noise. Mobile homes are not safe during tornadoes or severe winds. If there is access to a sturdy shelter or vehicle, abandon the mobile home immediately and go to that facility. Do not wait until the tornado is in view. Stay informed about the moving weather system and share information and preparedness tips with those that live nearby. Here in Darke County, plans have already been made to send volunteers to assist in the disaster response, with one volunteer flying out Wednesday morning and others on call, ready to follow when the need arrives, they’ll join with other volunteers from the Cincinnati-Dayton Region, volunteers who they've trained with, worked with, ready to respond in a minutes notice as a cohesive unit. Volunteers spend three weeks on disaster assignment, starting with meeting immediate response needs such as sheltering, feeding, mental and physical health needs. When those needs are met, then the real recovery can begin. HOW TO HELP Those who would like to help people affected by disasters like tornadoes, floods and other crises can make a donation to American Red Cross Disaster Relief. People can donate by visiting www.redcross.org, calling 1-800-RED CROSS or texting the word REDCROSS to 90999 to make a $10 donation. These donations enable the Red Cross to prepare for, respond to and help people recover from disasters big and small. 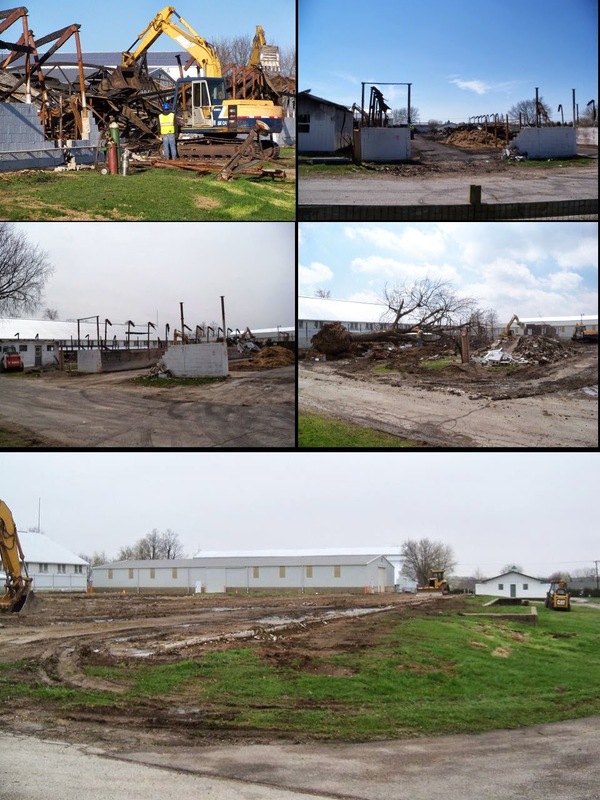 If you've been by the fair grounds in the past few days, or have been following The Great Darke County Fair on Facebook, you've seen that the fire ravaged structures that formerly served as the cow barns have been in the process of demolition and being removed to make way for the construction of new barns this year. The fair board has expressed a desire to have the new barns up and functional for this year's fair. The fair board shared the photos below on Facebook. Top left was taken before demo started, top right after day 1, bottom left after day 2, bottom right after day 3 and the bottom and final photo after day 4. It's a little overwhelming to think of how many people have passed through that relatively small piece of land over the years, and it's a little exciting to think of how many more will do so in the new structures for decades to come. Blood Donors recently celebrating milestones. 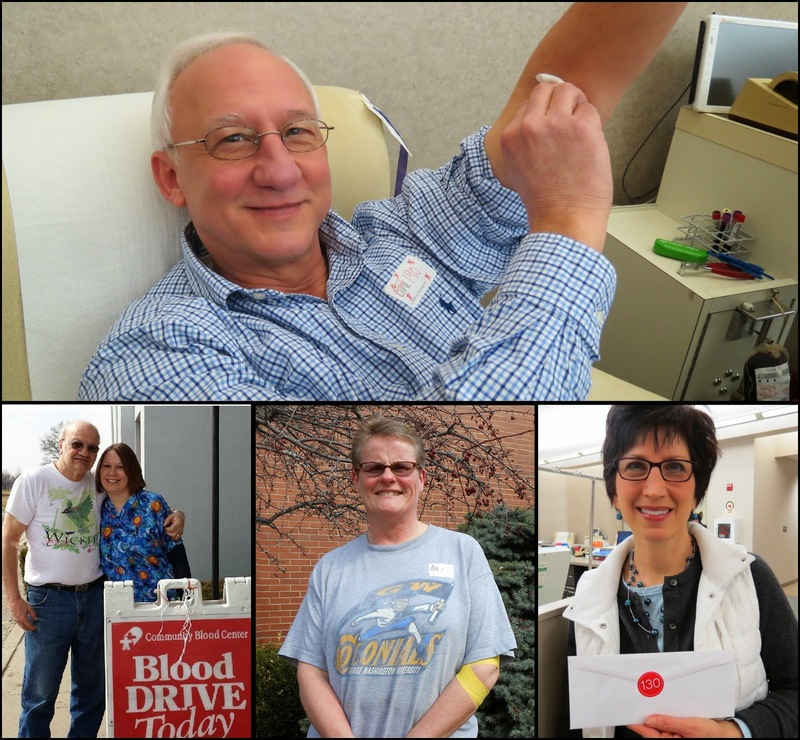 Top: Jack Magoteaux - 190 LTD, Bottom Left to Right: Robert Keiser & Shannon Baker - 180 LTD & 45 LTD respectively, LuAnn Pipenger - 100 LTD, and Michelle Sander - 130 LTD.
DARKE COUNTY, OH — Community Blood Center congratulates all of the following donors for reaching their Blood Donation milestones. Thanks to the generosity of all donors many lives have been saved. Donors are recognized for their Life Time Donations (LTD) Milestones. Every time a donor donates any blood product it is a donation. Life Time Donations are a total of all your blood product donations. CITY OF GREENVILLE UTILITIES METER INSTALLATION PROJECT IS IN THE FINAL PHASE. PLEASE CALL 937-621-1080 FOR AN APPOINTMENT. MUST BE COMPLETED BY MAY 15, 2014. On Thursday, May 8 at 7pm at the Arcanum Wayne Trail Historical Society Merri Niekamp, Outreach Manager from historic Bear's Mill, will be sharing a fun mix of history, culture, agriculture and shopping with a focus on historic preservation. This year's theme for Historic Preservation Month 2014 is "New Age of Preservation: Embark. Inspire. Engage." - a theme quite fitting for the non-profit organization, The Friends of Bear's Mill, Inc. as the new owners and stewards of the Mill and Property. Included in the program will be information and samples from the Mill Store and Gallery, which offers art, pottery, stone ground flours and private-labeled food items. Our programs are offered at no charge and open to the public. Active membership in the historical society is encouraged to help preserve our past history of Southern Darke County for future generations. Sign up at these events or contact information is available through our web site at www.arcanumhistoricalsociety.org. Plan to join us in May to be inspired and embark in preservation efforts in our local community. From walking tours, learning about our historic sites, seeing the display at the Arcanum Public Library, and exploring what the Arcanum Wayne Trail Historical Society and the town has to offer, you will be engaged. Pick up brochures from local businesses and the historical society which feature events during the month of May regarding preservation efforts in Darke County. In honor of National Historic Preservation Month, the Lowell Thomas House, which has been preserved at the Garst Museum, will be open for tours from 12:00 pm to 4:00 pm on May 3 and May 24. Enter the museum through the glass doors next to the parking lot. Admission to the house is free, but regular admission to tour the museum will apply. May is National Preservation Month. The Darke County Historical Society (the Garst Museum) has as its mission to collect, preserve, exhibit, study, and interpret materials relating to the history and culture of Darke County, Ohio as part of the development of the crossroads of the American experience. Permanent exhibitions of national significance include the Annie Oakley Center, the Treaty of Greenville, Lowell Thomas, and Ohio Native Americans. Oakland Church of the Brethren has a part time opening for a Director of Youth Ministry and this position is responsible for Jr. High and High school student’s activities. These include Sunday school classes, weekly events, yearly events and service projects. This position requires a heart and passion for youth, good organizational skills and relational skills. Need some help figuring out how to upload your pictures to Facebook? Still trying to navigate an Excel spreadsheet? Find help @ the Library! The New Madison Public Library will be offering FREE 1-on-1 computer assistance this spring. A Tri-Village/MVCTC senior will be here to help with your computer and internet questions on April 29, 30, May 1, 5, 6, & 7 from 4-6:00 PM. Stop by or call the library at 996-1741 to sign-up for some FREE 1-on-1 guidance with computer programs and navigating the internet. Darke County Park District is taking part in the celebration of Historic Preservation Month (May 2014) in partnership with Main Street Greenville. Along with many other activities in the month of May, the Park District will have a special open house on Saturday, May 3 at their three historic reproduction buildings, The Anthony Wayne Peace Council House at Prairie Ridge Meadow Park on Wilson Drive in Greenville and the Log House and new Blacksmith Shop Education Centers at Shawnee Prairie Preserve just outside Greenville on St. Rt. 502 W.
From 10:00 a.m. until 2:00 p.m. the Anthony Wayne Peace Council House will be open to the public hosted by Native American re-enactors, Dudley and Barbie Hansbarger. Stop in and take a step back in time to the signing of historic peace treaties and negotiations that happened right here in the Greenville area. Pick up information about the upcoming bicentennial commemoration of the signing of the Second Treaty of Greenville, The Peace and Friendship Summit, to be held in conjunction with The Gathering at Garst, July 24-27, 2014. The Park District is proud to maintain the history of the Native American people who have traveled through and lived in Darke County through education programs at the Peace Council House. The Park District will be opening two new educational areas during the Peace and Friendship Summit in July to celebrate the Native American people and their part in the history of our area, the Tecumseh Room at the Shawnee Prairie Preserve Nature Education Center and a Bowery which is a reproduction of the structure under which the Second Treaty of Greenville was signed which will be located in Prairie Ridge Meadow Park. From 1:00 p.m. to 4:00 p.m. the Log House and Blacksmith Shop at Shawnee Prairie Preserve will be open to the public with interpreters in period costume going about the chores and business of everyday pioneer life in the late 1700’s. Blacksmiths will be using hammer and anvil to work on a variety of projects for the upkeep of the log house. Celebrate the hard work and perseverance of the people who carved out our place in this beautiful place we call Darke County. Verd and Gini Stuckey have donated funds in the name of their daughter, Ami McClurkin, sponsoring the Saturday, May 3 “The Music of Mozart” performance by the Toledo Symphony Orchestra. Darke County Center for the Arts presents an orchestral performance annually as part of its Artists Series. DCCA Executive Director Andrea Jordan stated, “DCCA counts itself very fortunate to have the support of individuals who recognize the value of the performing arts and who choose to give of their personal funds to help make the programs accessible and more affordable. Their donation provides the opportunity to experience the beauty of live performances in a jewel of our community, St. Clair Memorial Hall,” she concluded. Formed in 1943 as The Friends of Music, the Toledo Symphony has grown from a group of twenty-two part-time musicians to become a regional orchestra employing nearly eighty professional full-time musicians who continue to grow in artistic quality and relevance, having ended their 2011 season with a critically acclaimed performance at Carnegie Hall. TSO remains committed to taking music to the people, playing in venues as varied as churches, schools, and universities, and supports community arts organizations like DCCA by traveling to perform in concert halls in small towns and rural areas. TSO's concert in Greenville will be conducted by Jeffrey Pollack, a conductor known not only for the musicality of his performances, but also for his innate ability to connect with audiences. Mr. Pollock has worked with orchestras across North America; in addition to creating a series of sold-out family and education concerts while Associate Conductor with the Fort Worth Symphony, he conducted a diverse pops series that featured headliners Roberta Flack, Randy Newman, and Wynonna Judd. Jim and Enid Goubeaux and Greenville Federal are also sponsors of the Toledo Symphony Orchestra performance. Additionally, the Harry D. and Esther Stephens Memorial Fund as well as the Ohio Arts Council, which helps fund Darke County Center for the Arts with state tax dollars to encourage economic growth, educational excellence, and cultural enrichment for all Ohioans, provide operating support. Tickets for Toledo Symphony Orchestra cost $30 for adults and $15 for students. 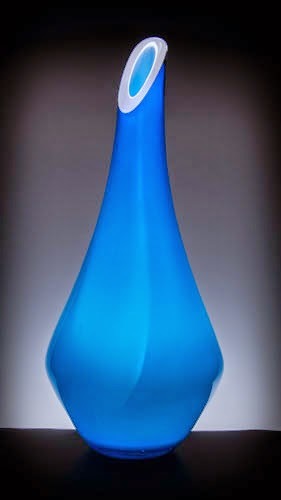 To order, contact DCCA at www.centerforarts.net or call 937-547-0908. Tickets will also be sold at the door. The concert begins at 8:00 pm at Henry St. Clair Memorial Hall. 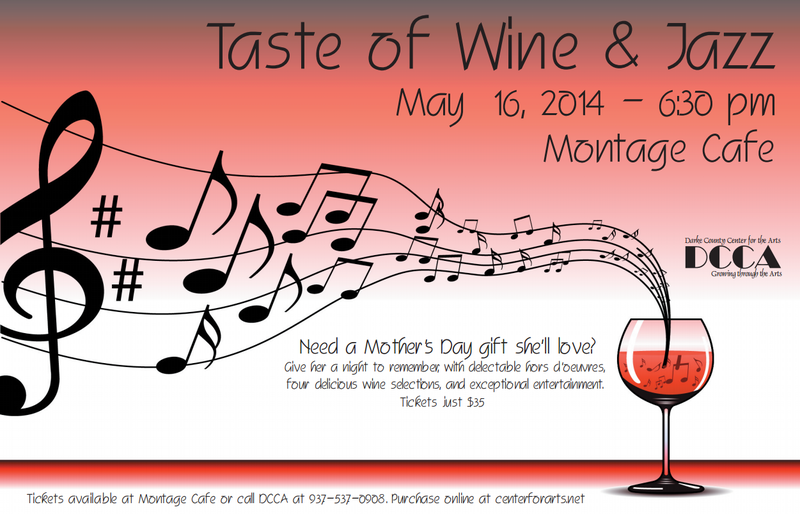 Darke County Center for the Arts will present “A Taste of Wine and Jazz XXVII” on Friday, May 16 at Montage Cafe in downtown Greenville. The wine tasting party, a fundraiser for the local arts organization, will feature food and music in addition to a selection of fine wines. “We're inviting everyone to join in this celebration of spring, music, food, and wine. You'll see old friends and make new ones at this festive party which will not only be a lot of fun but will also help keep the arts alive in our community,” said DCCA Executive Director Andrea Jordan. Music will be provided by Deron Bell and the “Jazz For You” band, a group which has earned a large local following. “Deron Bell can do it all; he sings, plays a variety of instruments, and covers a broad spectrum of music,” said Keith Rawlins, DCCA Artistic Director. “The quality of the musicianship achieved by Deron and his band is equaled by the group's joy in playing, making for a memorably good time for all concerned.” The band’s performance is made possible through the sponsorship of Cox Insurance, Zechar Bailey Funeral Home, and Kent and Melinda Myers. “A Taste of Wine and Jazz” provides a casual social setting where attendees can enjoy the music and visit with friends while discovering the differing attributes of a variety of wines. Montage proprietors Aaron and Michelle Cox will prepare an exciting array of hors d’oeuvres to complement the wine selections. Doors open at 6:30 p.m.; the event closes with the awarding of door prizes at 8:30 p.m.
Tickets to “A Taste of Wine and Jazz” are $35 each, and are available at Montage and at DCCA’s office inside Greenville Public Library, or can be ordered by contacting DCCA at 937-547-0908 and online at centerforarts.net. Congratulations to the Greenville Jr. High Girls Track Team as they placed second at the Greenville Jr. High Invitational held on Saturday, April 26th. Take time to walk along S. Main St. in Arcanum were the street is being prepared to be repaved. You can see the original brick laid in the early 1900s. Take a close look and you can see where the tracks for the Ohio Electric Railway were, right down the middle of the street. These small electrically powered cars entered Darke County from Montgomery County near Gordon, with stops in Ithaca, Arcanum, Abbottsville, Greenville then up to Union City into Indiana. Imagine what it was like for our grandparents and parents to get on the "traction" at the Traction Depot located at 6 N. Main Street., go to the Darke County Fair, go to Dayton for dinner or the theatre, visit family and not have to ride in a buggy or early cars over the bumpy roads of those times. And, get there much faster. This interurban system provided efficient passenger service through this area from 1901 through 1927. Photos of the electric cars and also an early Darke County map showing roads and railroads can be view at the Arcanum Wayne Trail Historical Society. “FIND THE HERO IN YOU” DARKE COUNTY MAY BLOOD DRIVES! DAYTON & DARKE COUNTY, Ohio – America relies on a strong blood supply and Community Blood Center (CBC) is honoring volunteer blood donors as patriots with the “Honor. Duty. Donor. Find the Hero in You” American flag t-shirt. Donors are encouraged to schedule an appointment at www.DonorTime.com. Locally you can contact Dana Puterbaugh-CBC Darke County Account Representative at 937-997-2199 or dputerbaugh@givingblood.org. The “Honor. Duty. Donor. – Find the Hero in You” t-shirt arrives in May, the month when the country celebrates Memorial Day to remember all those who died while serving in the armed forces. The American flag t-shirt is a donor gift to everyone who registers to donate Monday, May 5 through Saturday, June 14 at any CBC Donor Center and most CBC mobile blood drives. The t-shirt is navy blue and features a waving American flag over the words “Honor. Duty. Donor. – Find the hero in you” in white lettering, and includes the CBC blood drop logo. Midmark Donors will receive the “Take Me Out To The Blood Drive T-Shirt” at this blood drive. The Mississinawa Valley-MVCTC FFA Chapter held its Annual Parent and Member Banquet on March 20, 2014 in the cafeteria. Over 300 people were served. The welcome was given by freshman, Madison Stachler and her father, Scott Stachler. The invocation was led by Kasey Hummel. The banquet was called to order by FFA president, Jake Breymier and the 2013-2014 officer team. Donor awards were presented to the following for their support this past year: Jim Atchley, Gwen Bergman, Joe Hartzell, Jeffrey Winchester, Kim Livingston, Frank Miller Lumber, Williamsburg Stockyard, Alex Murphy, Rob Breymier, Kyle Linder, Rodney Saintigon, Thienman’s Sports Bar and Grille, Debbie Gower, Applegate Livestock, The Mississinawa Valley Custodial Staff, Nick Hamilton, Sherry Dirksen, Carts and Parts, Lois Livingston, Harry Birt and Birt’s Store, Kevin Bergman, Homestead Quality Bedding, Kim Berger and the Cafeteria Staff, Preston Deeter, and Mississinawa Valley-MVCTC FFA Alumni, Barb Bateman, Jana Brueggeman, Jeff Keller, Kurt Bergman, Barry and Adam Rodeheffer, Bill Stocksdale, Sandy Austerman Skidmore at Didier Hardware, Ted Finnarn, Doris Schweppe, Jeff Slyder, Velma Breymier, Shelby Shimp, Emily Timmerman, Sandy Denniston, Morgan Doppler and Rod Saintignon at Versailles Painting Service, Todd Murphy, Makinzi Marker and Liz Livingston, Sam Custerat Darke County Extension Office, Mary Boettger and Greg Beherns, Jason Manning of County View Family Farms, Vore’s Welding and Steel, Cooper Farm’s, Cy Hiestand, Richard Livingston, Rhonda Phillips and Tami Bruner, Fort Recovery Insurance Agency, Jeff and Lori Cox, Dale Breymier, Darin Hiatt and Rick Scholl, Shawn Peters, Derrick Mote at Mote Farm Service, Union City Pak-a- Sak and Subway, Justin Herth, Duane Scholl, John Kaiser at Darke County Soil and Water, Brad Lentz and the Ansonia FFA, Cal-Maine, and Sean Gerber at Pioneer Seeds for there Donation. Mrs. Carmen Hartzell, Mississinawa Valley’s FFA Advisor, presented chapter awards to students with outstanding Supervised Agriculture Experience Programs and other achievements. September 5th, The night before the 2014 Tour De Donut, we will welcome kids from all over the country to the first Wright’s Bikes Tour De Donut STRIDER Classic Race in Arcanum, Ohio. Strider races are events for riders on Strider balance training bicycles and include local and regional events with a National championship each fall. 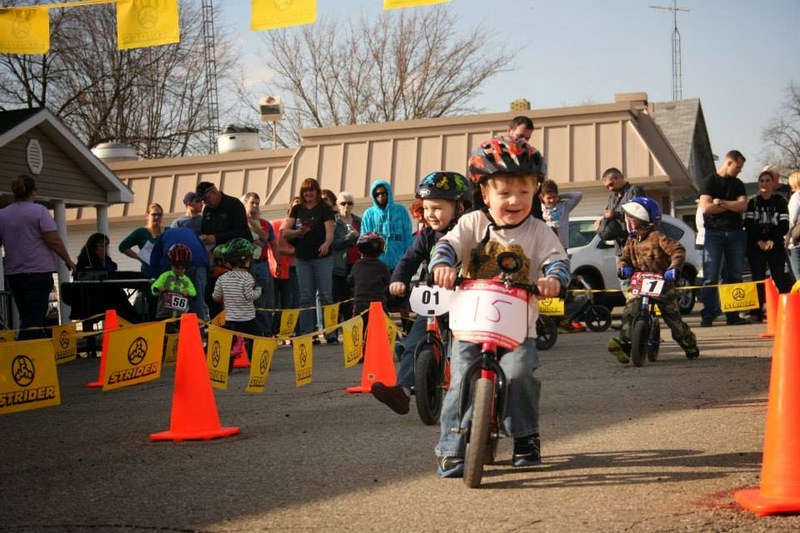 STRIDER Races are for ages 18 months to 5 years of age and SUPER STRIDER Race for ages 6 to 10. 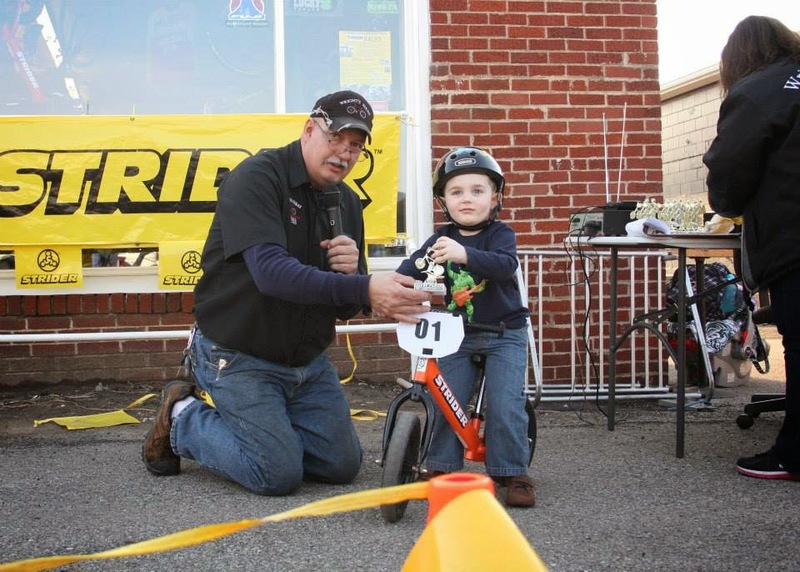 Registration 5pm – 6pm STRIDER Race will start just after 6pm on the famous BRICK Street in Arcanum, Ohio. Age Groups: 2 and under, 3 year old, 4 year old, 5 year old Class and a SUPER STRIDER Class for ages 6 to 10. We will also have an Adult STRIDER Race. Bring your Strider and your helmet and join us. Note: We do have a few demo Striders, Super Striders and helmets for those wanting to participate. See our web site for Wright’s Bikes STRIDER Race Series Rules and more information. SPRING Into Action! Save a Life! This Spring, spring into action with the Darke County Red Cross. Scheduling a meeting, family reunion, mother’s day gathering or party? Start the event with a short lesson that could save a life. Learn CitizensCPR, the hands-on only CPR, in just 30 minutes and then kick off the party. What a great way to get together a regular group of friends, your organization, your staff, a Sunday school class, family or your clients. Most people who survive a cardiac emergency were helped by a bystander. That could be you! There is no written testing for CitizensCPR. It’s an introductory class, without learning of mouth-to-mouth resuscitation or AED usage. A trained instructor is provided and practice will be given on a special compression tool to insure that each participant is comfortable and skilled in hands-on CPR before the party is complete. All you need is an open room, a few guests and some food or drink for after the class. Participants are floor taught with accommodations made for those with knee issues. Another class that can be taught in 30 minutes is Disaster Preparedness planning with a Make-It-Take-It Kit. 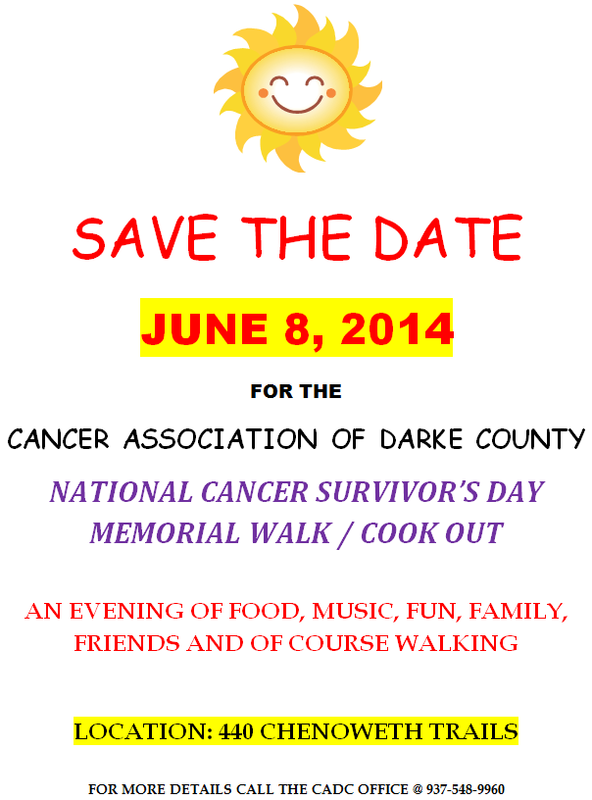 This is a service of the Darke County Red Cross and a fundraiser. Donations for the party help to support the mission of the Red Cross. This party class does not qualify for CPR certification needed for work or school. Contact director Lynne Gump at Lynne.Gump@redcross.org or 548-1002 for questions or to schedule. Wayne Cinema Offering Discounted Tickets for "Son of God"
Mention your church and receive a discounted admission. The Darke County Genealogical Society will meet on Saturday, May 3, at 1:00, at the Versailles Area Historical Society and Museum. 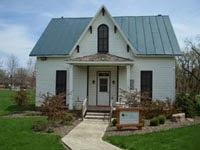 We will be touring the museum which is located at 552 S. West St., Versailles, OH. Versailles Poultry Days, Inc. is pleased to announce we are now accepting applications for the 2014 Miss Chick Pageant. The contest, sponsored by Versailles Savings & Loan, will take place June 13 & 14, 2014 beginning with personal interviews at noon on Friday the 13th and the onstage interview beginning at 2 PM on Saturday the 14th in the old VHS High School Gymnasium. After 62 years of celebrating vibrant, dynamic young women as part of the Poultry Days Festival, the Miss Chick pageant has earned its place as a rich community tradition. Members of the Miss Chick court promote the festival throughout their reign acting as ambassadors to the Ultimate Frisbee community that participates in the tournament held in conjunction with the festival and at several other local festivals. The court have also participated in philanthropic events that raise funds for the Leukemia & Lymphoma Society and the Wounded Warrior Project. In addition to the honor of representing Poultry Days during their reign, the 2014 court will also enjoy the largest cash prize offered in the contest’s history. The chosen Miss Chick will receive flowers, a plaque, crown and $400; First Runner-up will receive flowers, a plaque, and $200; and Second Runner-up will receive flowers, a plaque, and $150. This contest is open to all high school organizations (including athletic teams, clubs, band and musical), 4-H clubs, and businesses in Darke County and contiguous counties (Miami, Mercer, Montgomery, Shelby, Auglaize, Preble, Jay, Randolph and Wayne) A list of potential sponsors and contacts is available from the pageant chairpersons if contestants should require help in securing sponsorship. Contestants must be females 16 years of age by the day of the contest, and no older than 19 years of age (Limited to graduating high school seniors of the class of 2014.) Early applicants will receive a discounted entry fee of $5 payable by the sponsor or contestant. The early application deadline for entries will be May 17, 2014. After this date contestants will be subject to a $10 entrance fee. Final Deadline for entries is Friday, May 30, 2014. Anyone interested in becoming involved as a sponsor or contestant should email misschick.vpd@gmail.com. The Miss Chick Committee, Versailles Poultry Days’ Board of Directors and the Village of Versailles would like to invite you to the 63rd annual Poultry Days festival June 13, 14 and 15th, 2014. This year’s Festival theme is “Cluck Dynasty”. For more festival information and the application, please like our Facebook page, Miss Chick - Versailles Poultry Days or visit www.versaillespoultrydays.com. 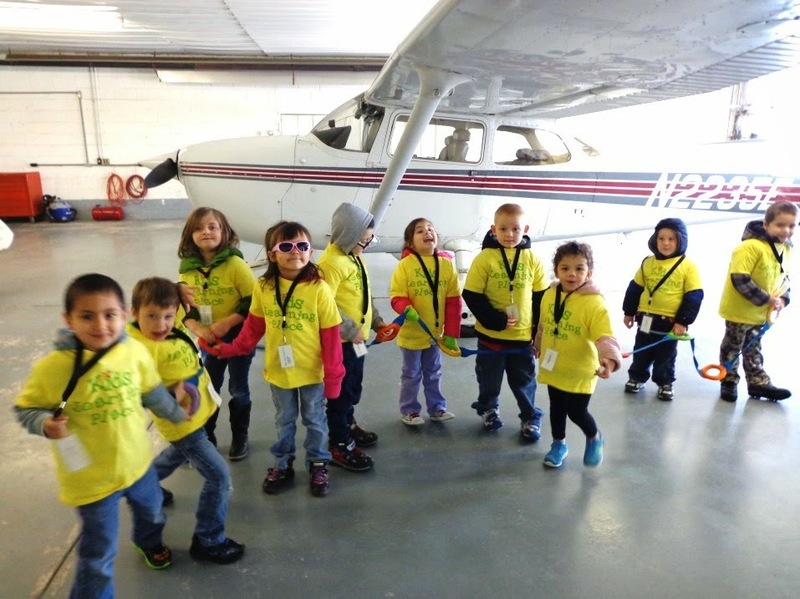 The Union City classroom studied transportation all month – boats, planes, land vehicles, and hot air balloons. We went on a field trip to the Randolph Co. Airport to learn about planes; we got to see them up real close! The Head Start classrooms in Greenville, Bradford, and Union City at Kids Learning Place in Darke County are now taking applications for 3 and 4-year old children for the 2014-2015 school year. There are part-day preschool classroom sessions and home base visiting options available. Head Start is a high-quality, comprehensive preschool program that provides a kindergarten readiness education, health and social services, and nutritional programs. The no-cost program is for low-income families who meet eligibility requirements set by federal guidelines. The program may also provide services to children that are homeless, in foster homes, and children with special needs without income restrictions. involvement with Ohio’s “Step up to Quality” program that recognizes learning and development programs that exceed licensing, health, and safety standards. The application process is taking place in Darke County now, call to secure your child’s spot in the program. For more information about Head Start and Kids Learning Place call our local toll free number 1-866-627-4557 and talk with a local person. 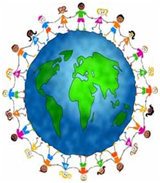 Check our Web site at www.kidslearningplace.org or “like” our Facebook page at www.facebook.com/kidslearningplace. The Darke County Foundation (formerly named the HOPE Foundation) is offering a scholarship to a student who is currently in college and is pursuing a degree towards a healthcare-related profession. Applicants for the Lori Michelle Williams Scholarship must be graduates of a Darke County high school. Applications are available online at www.darkecountyfoundation.org or may be obtained by e-mailing the Darke County Foundation office at cprakel@darkecountyfoundation.org. Completed applications must be postmarked by June 13, 2014. Lori’s parents, Bruce and Mary Williams of Greenville, created this legacy in her honor to remember how Lori always set goals and strived to achieve them. She passed away during her senior year at the University of Cincinnati, where she was studying to be a nurse. In endowing this scholarship, the Williams’ family hopes to help others achieve the goals that Lori had set for herself. The Darke County Foundation receives, manages and distributes charitable gifts for the benefit of the community. More than 60 named funds provide scholarships to Darke County students and grants to local non-profit organizations. 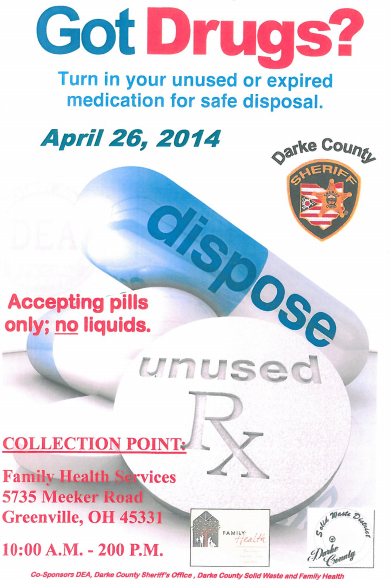 For more information about the Darke County Foundation, call 548-4673 or visit www.darkecountyfoundation.org. 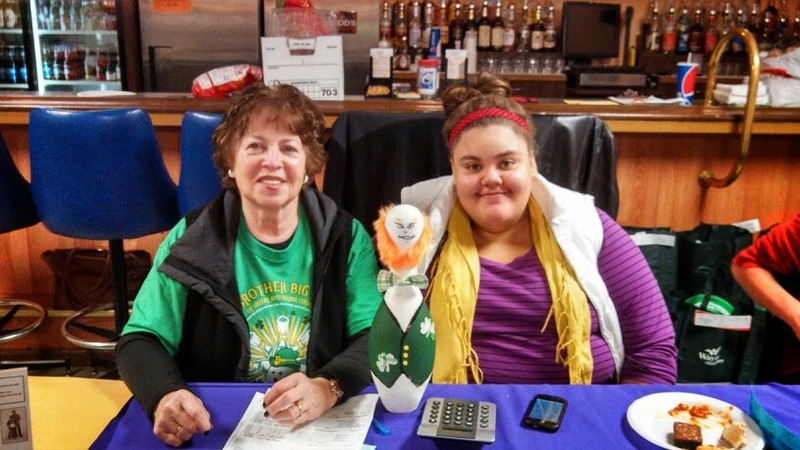 Big Brothers Big Sisters of Shelby & Darke County announce Big Sister, Betty Miars, and Little Sister, Sarah Beck, have been selected as April Match of the Month. Betty & Sarah have been matched in the Big Brothers Big Sisters program since May, 2009, therefore will be celebrating their 5 year match anniversary together next month, along with Sarah’s graduation from Sidney High School. Betty appreciates having a Little Sister with such a pleasant personality, a great interest in school, and who is good at engaging in conversation. They enjoy eating out, shopping, and attending BBBS group activities together and meet two or three times per month. Betty has enjoyed watching Sarah grew into a positive, education minded individual and has helped Sarah achieve her goals of going on to college in the fall at Kent State University. Betty reported, “I am very proud of Sarah and the hard work she has put into her academics to make this happen.” As a caring Big Sister, Betty has offered to keep track of community service hours to help Sara’s college scholarship application process. 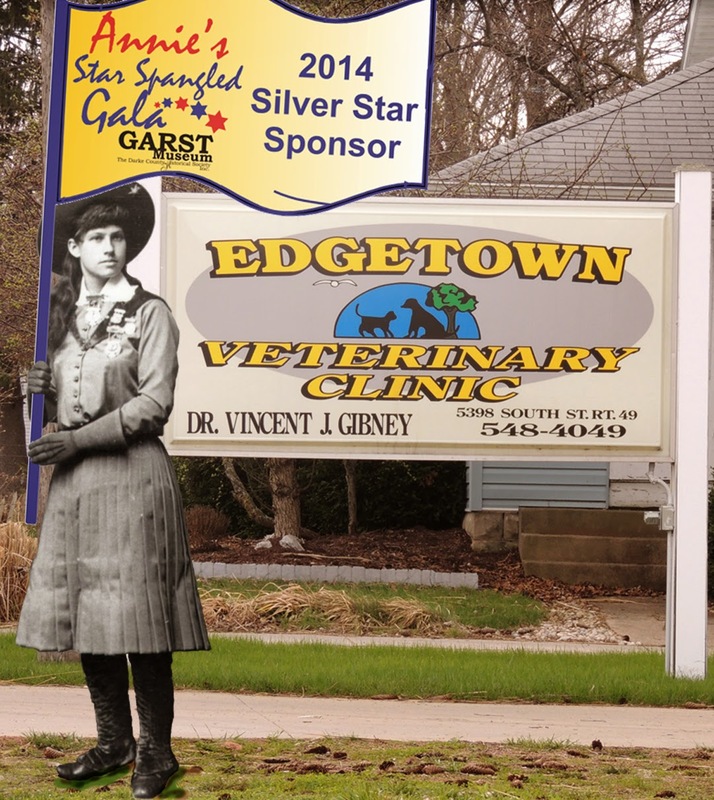 Annie took Dave, her best pet, to Dr.Gibney at the Edgetown Veterinary Clinic in Greenville for his yearly checkup. While she was there, she delivered a Star Spangled Gala Flag in recognition of their generous Silver Star sponsorship of Annie’s Star Spangled Gala fundraiser for the Garst Museum and The National Annie Oakley Center. The really BIG Used Book Sale is coming to Darke County soon! The Friends of the Greenville Public Library is having its annual sale on Friday and Saturday, May 30 and 31, at PAWS Bingo Hall, 848 Martin Street, Greenville , across from the Dairy Queen. Friday’s sale is from 9 a.m. to 8 p.m. with the same low prices as always: 50 cents for hardbacks and trade paperbacks, 25 cents for paperbacks and $1 for DVDs or CDs. Items that are possibly collectable, valuable or rare will be by donation. On Saturday, the sale is from 9 a.m. to 2 p.m. and will feature the amazing price of ALL ONE PERSON CAN TAKE IN ONE TRIP FOR $2 (TWO DOLLARS). Come both days to insure getting what you want and extra special bargains, also. If you have questions, call 937.417.3546. Work is underway at the old Marsh Supermarket building on Martin Street in Greenville. The familiar Subway logo is now installed at the west end of the building. A sign in the window indicates "Subway Opening Soon." The rest of the building is vacant at this time. In order to comply with our national accreditation (The Commission on Accreditation for Law Enforcement Agencies, Inc. - Standard 45.2.4), we invite the public to participate in our 2013-2014 Community Survey. You can locate this survey on the City of Greenville's website, cityofgreenville.org and Facebook page. (DJ Note: Click here to take the survey). Please take a few moments to complete the survey. The Greenville Police Department desires to actively seek citizen input regarding the quality of policing in our community. Your continued interest and support is always appreciated. I was a child who was raised with core values in an agricultural community, and learned the importance of preserving what you have. I conduct my business in this way, both personally and professionally, regarding ownership and maintenance of property. “To preserve what you have for future generations” is a phrase that I hold as a truism. On May 6th, we have an opportunity to renew a permanent improvement levy. This will be the sixth time we can affirm the need for the levy, which exclusively maintains, improves or purchases district assets. The money cannot be used to fund salaries or benefits for personnel. Anything purchased with this money is required to have a life of at least five years by legal statute. A homeowner of a $ 100,000 house in Greenville School District is paying annually $ 29.80 for this levy. A renewal of this levy also keeps another $ 4.26 flowing from the state in rollback dollars from this same home. This was eliminated from new levies last year. Renewal brings money to our community from the State of Ohio coffers. This is not a request for new taxes. It is a continuation of a tax that has been in effect for twenty-five years and has served the district well. This levy is for the maintenance of items that we own, or to purchase new assets in order to protect and serve the children of our district. Times are changing and the need to create a safe environment for those we serve is of paramount importance. The news around us makes it clear that our children are in peril from dangerous situations. The dollars from this levy will continue to be used for preservation and safety enhancement for the district. Expenditures will be made with thoughtful purpose, minimizing the use of dollars on existing buildings which will be out of service after three years. Yes, we are building a new building, and yes, the people voted to build and maintain that new building. However, there will be an interim period in which it will be necessary to keep present structures in working order, hopefully with assets that can be moved to the new facility or kept in the present high school. Renewal of the levy will serve that purpose. The new building will not open until the 2016-2017 school year. Your support of this levy is critical to our continued needs. Please vote on May 6th to keep our district structurally sound. Governor Kasich recently proposed his Mid-Biennial Budget Review, or MBR, which gives lawmakers a second look at the budget that was passed last year and allows us to determine where improvements can be made. Because of the vast size of the bill—surpassing 1,600 pages—the House rightfully decided to break it down into smaller components so that each separate issue can receive appropriate level of oversight and review. Among the most important aspects of the governor’s plan is looking for ways to further reduce the burden on Ohio taxpayers, making it easier for families to meet their needs and freeing up more money for small business owners to create more jobs and expand their operations. Under Governor Kasich’s leadership and a continued commitment by the state legislature, we have been able to cut taxes for Ohioans, including the passage of last year’s state operating budget, which contained the largest year-to-year tax cut in the country. This has all happened while balancing the budget every year and adding to the state’s emergency reserve fund. Most important to Ohio’s economic recovery is the creation of about 238,000 private sector jobs since January 2011—fifth in the nation and tops in the Midwest during that time period. I believe that individuals are the best stewards of their money, and making it possible to keep more of it in their pockets leads to economic development, more jobs and stronger families. Although we are only required to pass a budget once every two years, being able to review it every other year only enhances our ability to work toward a system that makes Ohio more competitive to business owners and more attractive to people looking to raise a family. The MBR also addresses critical issues related to education, agriculture, veterans and mental health and drug addiction. This is all the more reason to break the plan up into several smaller pieces and assign them to their corresponding committees. As the House and Senate continue working toward implementing these reforms, I will do my best to keep the people of Darke, Auglaize, Mercer and Shelby counties informed. As always, I want to hear from the people of the district about the issues that you are most passionate about. Please share your ideas and concerns. The Fort GreeneVille Chapter Daughters of the American Revolution will meet Saturday, April 26, 2014, at 10:00am. The location is the Garst Museum, Greenville. Anyone interested in joining DAR is welcome to attend the meeting for more information. 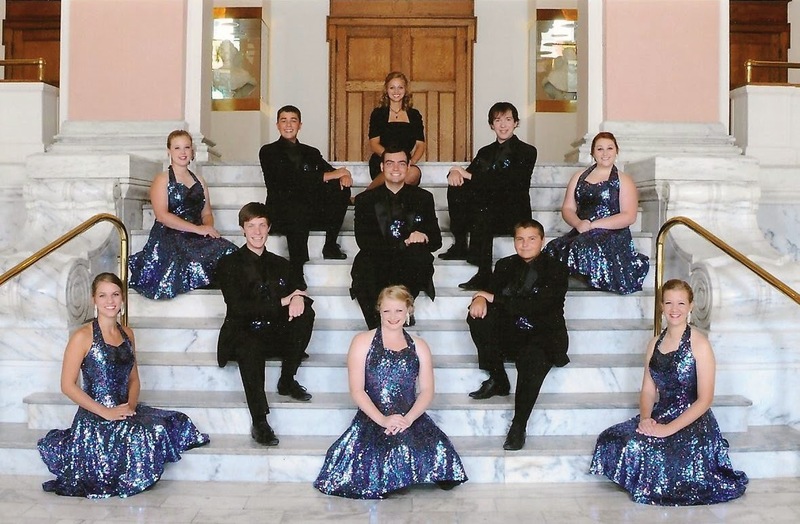 Pictured are The 2014 Wavaires (first row): Sara Green, Brooke Netzley, Ashley Grote (second row): Heath Marker, Evan Kiser (third row): Casey Mortensen, Alex Davis, Lyssa Middlestetter (fourth row): Justin McMiller, Logan Hummel and in the fifth row, Director Chelsea Whirledge. GREENVILLE, OH - On Thursday, April 24, reserved tickets for the 2014 Greenville High School Choir-O-Rama “Let's Get Loud!” go on sale from 6:30 - 8:00 p.m. at Memorial Hall. The ticket price is $7.00 for presale and $8.00 at the door. Choir-O-Rama will be held on Friday, May 16 at 7:30 p.m., Saturday, May 17 at 7:30 p.m. and Sunday, May 18 at 2:00 p.m.
After the kickoff sale on the evening of April 24, further requests may be made by contacting Katie Netzley at (937) 670-0063 after 5:00 p.m. or going to the High School ticket booth from 11:00 a.m. - 12:30 p.m. daily. Performing in this annual event are The Wavaires, Concert Choir, Men’s Choir, Women’s Choir, Girls Glee, Choraliers, senior ensembles and various spotlights showcasing the talent. The event is directed by Mrs. Chelsea Whirledge with choreography by Brooke Jendrusik. The choirs are accompanied by Mrs. Judy Mills, and will feature Mr. Richard Kensinger on lights and Ben Hayes on sound. Be sure to 'Like' Greenville High School Vocal Music Boosters on Facebook to receive the latest news about Choir-O-Rama, and ways to support the vocal music program at GHS and other events. Mainstreet Greenville‘s schedule for Historic Preservation Month is impressive. The month of May is designated as such and Darke County abounds with interesting, beautiful, and significant historic places worthy of preservation and discovery. Pick up a brochure with the schedule and participate! The Greenville Public Library is playing its part by hosting its own historic tour on “First Friday” May 2nd at 5:15 p.m. This free event is an opportunity to learn about the building's design and decor, the story of its architecture, creation and renovation, the people and proceedings of the past, and to inquire into little known stories of the over-110-year-old building. 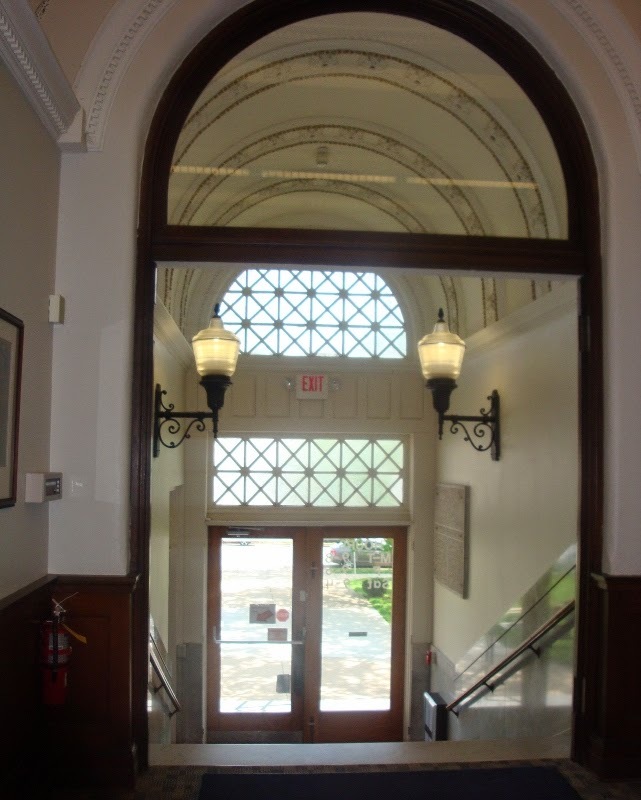 Even though the Library was built by grants from Andrew Carnegie and the Greenville Schools, the “extras” came from Henry & Ella St. Clair – the marble stairwell, the stained glass, the imported statues, and the private book collections of Henry himself. Henry's portrait in stained glass graces the Reference Room. To brief yourself on Library history, go to www.greenville-publiclibrary.org and click on “About Us” then “History.” You’ll see old photographs and a year-by-year account from 1889 to the present. The tour will conclude in plenty of time to attend the “Upper Floor Tour” in downtown Greenville from 6:00 to 9:00. In addition to the tour on May 2nd the Library is also sponsoring Bill Booker’s free walking tour “Historic Downtown Greenville” on May 13th. Bill is a regular lecturer at the Library on local history. The May 13th tour will reveal little known and interesting facets of the downtown. Meet at the City Building at 6:00 p.m.
All are invited to Oakland Church of the Brethren for its first Congregational Life Expo and experience what Oakland has to offer. All aspects of Oakland Life will be represented. Each ministry team will greet you with information on how they are serving the church and beyond. Enjoy an evening playing euchre while listening to the music of many talented musicians. Meet the youth as they serve ice cream and popcorn. This fun filled event will take place on Saturday, May 3rd from 6 to 8 pm. Oakland is located at 8058 Horatio Harris Creek Road, just 2 ½ miles north of Gettysburg. Any questions, please call 937-448-2287 or check our website at www.oaklandchurch.org. The Versailles Museum is excited about our newest activity held the last Monday of each month at 1:00 p.m. These gatherings are designed for our more “senior” friends who will enjoy various activities from picture identification, to Village Trivia, to the occasional guest speaker. This month we will reminisce about days in the military. As we approach another Memorial Day we are inviting our Veterans to join us for a round table discussion led by Tom Mendenhall as we reflect on the life of the soldier and the family at home. Come and sit and share your story or just listen to others. We have much to learn. Come join us for all the interesting stories and conversation! The afternoon caps off with great desserts and coffee. What better way to spend your late spring afternoon? If you have ideas for programs we want to hear from you! After all it’s all about what YOU want. Watch the local papers or our facebook page for additional details. “Sunday Afternoons at the Museum” Concludes this Sunday! Our season will conclude on Sunday April 27th when we will travel with another Versailles author as we welcome Bill Schutte to share his book “The Mountain Slayer; A Journey on the Appalachian Trail”. This inspiring story will tell about Bills amazing journey. Bill may also have a few books available to sign! As a special treat, Bill is bringing along his longtime friend, Al Hetrick and they will share their journey walking across England as a bonus for us all. Our season is free, but your generous donations as well as your memberships are most appreciated and keep our museum open. We will serve light refreshments following event. Tell your friends and plan to join us for this most interesting event! The work of Cedarville, Ohio glass blower Jim DeLange and unique digital photographs produced by a method artist Doug McLarty calls “scanography” will be displayed at historic Bear's Mill during the month of May. The show opens Friday, April 25; however, the artists' reception will not occur until one week later on Friday, May 2 from 6 p.m. till 9 p.m. Appetizers and drinks will be served; the artists will speak briefly about their creations, methods, and inspiration at 7 p.m.
“This 'Art at the Mill' exhibit will fill our gallery with excitement and color,” said Julie Clark, retail manager and gallery coordinator for Bear's Mill. 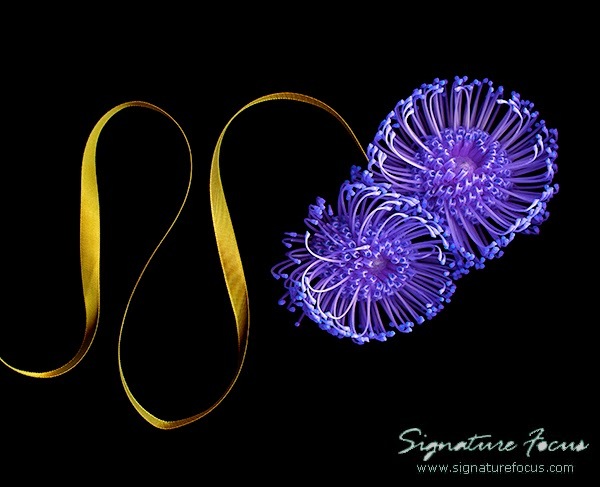 “Doug uses the patterns, forms, and textures of natural materials combined with his gift for composition to create breathtakingly beautiful digital images, while Jim combines color and shape to produce graceful, elegant glass pieces,” Ms. Clark stated. “We are thrilled to be displaying the beautiful, powerful work of these highly skilled artists,” she concluded. Native Iowan Jim DeLange, a former school guidance counselor who for many years also worked as a freelance photographer as well as with stained glass, started blowing glass in 2007, and instantly knew that he had discovered a new passion. “Glass in its liquid form has almost endless possibilities,” the artist explains. “I am mesmerized as I watch the liquid glass take form beneath the touch of my hand and exhilarated when I hold the finished piece in my hands for the first time; I want others to share that excitement,” DeLange said. Ms. Clark commented that DeLange's luminous work assumes many forms and encompasses all the colors of the rainbow, qualities that will beautifully enhance the rustic gallery space at Bear's Mill. Doug McLarty, a retired Air Force Colonel who resides in Xenia, Ohio, uses a modified digital scanning process rather than a traditional camera to produce his unique images. His artistic vision has been described as combining a sculptor's sense of form, a painter's sense of composition and a cinematographer's sense of light to reveal new perspectives on nature. “Sometimes the results of my designs are anticipated, but more often than not, the final result is a grand surprise,” McClarty observed. According to Ms. Clark, that element of surprise often extends to the viewer, who is astounded to discover that McLarty's vibrant images are created using plant parts, sliced vegetables, and other such mundane subjects. Paintings by Greenville resident Michael Glass and blown glass by Dayton-based artist James Michael Kahle remain on display at the Mill through Sunday, April 20. “Art At the Mill” has received financial support from Darke County Endowment for the Arts. Art exhibits are on view during regular Mill store hours, 11 a.m. till 5 p.m. daily. Historic Bear's Mill is owned and operated by Friends of Bear's Mill, a non-profit organization, and is located at 6450 Arcanum-Bear's Mill Road about 5 miles east of Greenville. 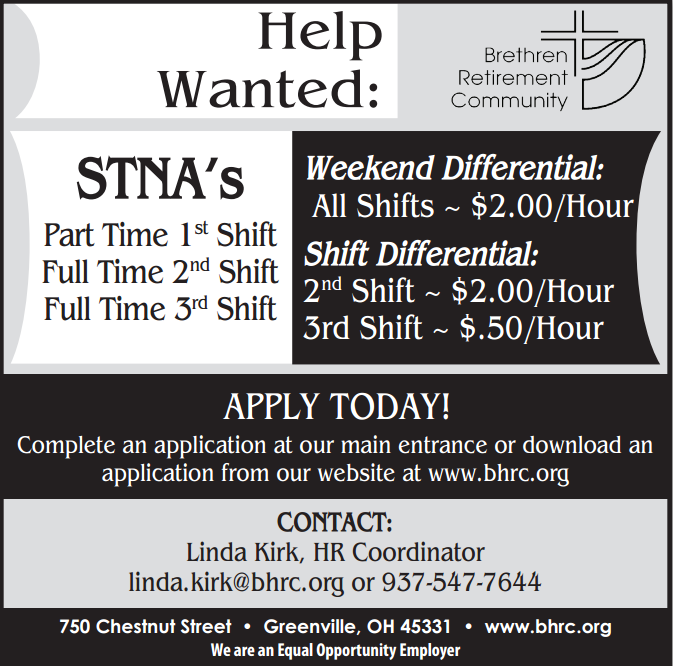 For more information, contact Bear's Mill at 937-548-5112 or www.bearsmill.com. On April 24, 2014 at approximately 9:38 PM Darke County Deputies along, with Greenville Township Fire and Rescue, Arcanum Rescue, Greenville Fire, Greenville Police Department and two CareFlight helicopters were dispatched to the intersection of US Route 127 and Sebring-Warner Road in reference to a Semi Tractor/Trailer and motor vehicle accident. Preliminary investigation revealed a white 2013 Freightliner semi tractor/trailer driven by, Clayton R. Ramsey, 54, Greenville, was stopped westbound on Sebring-Warner Road at US Route 127. Ramsey attempted to cross US Route 127 and was struck by a northbound 2003 Chevy Impala driven by, Lacie D. Copeland, 21, Greenville, Ohio. Copeland and her front seat passenger, Lindsey T. Bolton, 26, Arcanum, Ohio were extricated by mechanical means after being trapped in the wreckage for approximately thirty minutes. Clayton R. Ramsey was treated and released at the scene. Copeland and Bolton were airlifted to Miami Valley Hospital by CareFlight, Copeland is listed in serious condition and Bolton is listed in good condition. Copeland’s third occupant, Nicholas K. Deaton, 23, Greenville was transported to Wayne Health Care by Arcanum Rescue where he was treated and released. The Darke County Sheriff's Office Accident Reconstruction team and Ohio State Patrol’s Motor Carrier Inspector also responded to the scene for further investigation. Miami County Officers Arrest One After Finding a "Sophisticated Marijuana Grow"
Miami County detectives and deputies executed a search warrant on 4/23/2014 at 7313 S. Rangeline Road in Union Township. Located within the residence was a sophisticated marijuana grow. Items seized included marijuana plants, cultivation materials, and a .45 caliber pistol. Taken into custody without incident and incarcerated into the Miami County jail was one Todd E. Fisher. Fisher was under a weapons disability from a prior felony conviction. At the time of the search warrant children were also present. 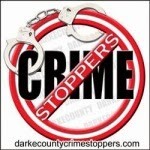 On April 24, 2014 at approximately 7:30 AM the Darke County Sheriff’s Office received a 911 call reporting two students in a vehicle unconscious and unresponsive at the Franklin Monroe School parking lot. The Franklin Monroe School is located at 8639 Oakes Road near the Village of Pitsburg in southeast Darke County, Ohio. Darke County Sheriff’s Deputies, Pitsburg Fire Department and Arcanum Rescue units responded to the scene. Upon investigation it was discovered a male and female student were overcome with carbon monoxide poisoning while sitting in a car in the school parking lot. One of the students made a call to a parent when she noticed the other student become unconscious. The second student became unconscious before help could arrive. The parent that was notified contacted the school to report there was a problem and that is when the school staff went out to the parking lot and discovered the two students unconscious in the car. The Darke County Friends of the Shelter will sponsor a Garage Sale on Thursday, May 1st (9:00am – 5:00pm), Friday, May 2nd (9:00am – 5:00pm), and Saturday, 3rd (9:00am to 1:00pm) at 6026 Arcanum-Bearsmill Road Greenville (1 mile South of the Mill, look for Freddie and the Animal Shelter banner). All proceeds will be used to maintain the Dog Park “Scentral Park”, South of the Animal Shelter on County Home Road, Greenville. Edison Community College will host a summer registration event on April 24 from 1–7 p.m. at the Piqua campus. The event is designed to expedite the application and enrollment processes in time for classes that begin on June 2. The event will feature a one-stop registration opportunity and refreshments. For this special occasion, the college is waiving the $20 application fee for all new students. The $25 set up fee for students utilizing the College’s payment plan will also be waived for those registering the day of the event. Prospective students attending the event will meet with an advisor, design a personalized education plan, and register for summer semester classes. In addition, they will receive information about setting career and academic goals, learn about the financial aid process, and complete new student orientation. Students new to Edison will also be able to complete the COMPASS assessment in reading, writing and math. Students who have previously completed college math and English, or who have qualifying ACT or SAT scores, may not need to take the COMPASS. It is recommended that prospective and returning students speak to an admissions specialist before committing to a testing time. The COMPASS assessment takes about two hours to complete. Prospective students may schedule to take the test at another time more convenient for them by calling 937-778-7850. For more information about the admissions process at Edison Community College, go online to www.edisonohio.edu/admissions. benefits from therapy with Dr. Stephen Winner. Hoying is the son of Mark and Gina Hoying of Russia. Dr. Stephen Winner owes a lot of his current success to his Grandma, Norma Winner, of Minster, Ohio, and his passion for athletics. As a Physical Therapist at Versailles Health Care Center, Winner spends quite a bit of time with patients of all ages, including kids, athletes and the elderly, something that was common during his childhood and teenage years growing up in Willowdell, Ohio. Winner is the son of Randy and Cathy Winner of Willowdell, and has two brothers, Shawn and Damian, and one sister, Amanda. He graduated from Versailles High School in 2006. In 2012, he received a Bachelor of Science in Strength and Conditioning, an Associate of Science in Personal Training, and a Bachelor of Science in Physical Therapy from The University of Findlay. In 2012, Winner completed an internship at Versailles Health Care Center and was later awarded a Doctorate of Physical Therapy Degree. Dr. Winner is certified in LSVT (Lee Silverman’s Voice Treatment) BIG Parkinson’s Treatment Program and in SASTM (Sound-Assisted Soft-Tissue Mobilization). He is currently in the process of receiving certification in Kinesiotaping with emphasis on Orthopedics and Sports Medicine. Please help the Light Foundation win a $100,000 grant. Join fellow fans in selecting the ten All Stars of Giving. One of those All Stars will then be crowned the Humanitarian of the Year by All Sports United and receive in-kind services and a cash reward for his/her favorite cause. Donations, from individuals and corporate sponsors, will also increase the amount of cash rewards. Your votes decides the final 10 All Stars. You may vote up to 3 times per day. Voting ends May 15, 2014. Please go to All Stars of Giving >> Most Valuable Philanthropist 2014 - SPORTS and cast your vote! Members of the Darke County Photography Club will teach a photography workshop on May 3rd from noon to 2:00 p.m. at the Greenville Public Library. Jeannie Grosch invites everyone to attend this free class and learn such skills as: basic camera use; what the dials mean and how to change settings; little things to make a better picture; composition, lighting, and depth of field - all in simple laymans‘s terms. She asks participants to bring their own cameras, a flash drive, and a few of their own pictures. Because seating is limited, please call the Library at 548-3915 to reserve a place. This date also marks the start of a photo contest “Faces of the Library” - come and hear more about the contest! The Photo Club meets at 7:00 pm on the third Tuesday of every month at the Shawnee Prairie Nature Preserve Center. The meetings feature informative presentations by members and professional photographers, as well as themed monthly informal feedback sessions conducted by the members present. There are also themed formal quarterly critiques, con-ducted by guest professional photographers. More info at www.darkecountyphotoclub.com. The Ohio High School Bowling Coaches Association with sponsorship from Ebonite will award (1) Male and (1) Female bowler a college scholarship and will be awarded a plaque as the Ohio Southwest District Bowler of the Year. The award is voted on by the Coaches Association Board of Directors. Criteria is a minimum of a 3.0 Grade Point Average and must bowl on a high school team that is part of the OHSAA. Along with an essay that is submitted by the bowler, a list of OHSAA High School bowling accomplishments and non OHSAA High School bowling accomplishments are to be submitted. 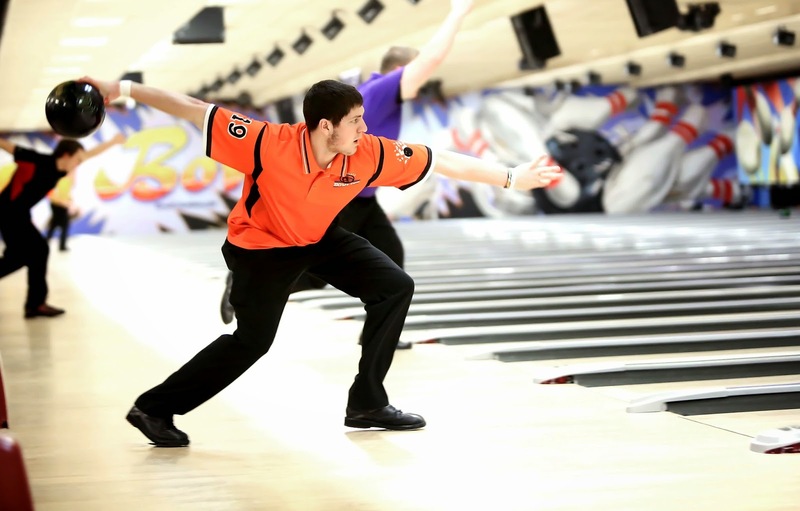 “Michael was selected as the Southwest District Bowler of the Year for the 2013-14 Season. We feel he is not only the best High School Bowler in the SW District, but the best in the State as well. No matter what tournament or competition he is in, he always helps give his team and himself (in singles competition) a chance at the title,” stated Greg Coulles, Executive Director of the OHSBCA. Michael will be attending Calumet College of St. Joseph just outside of Chicago majoring in Criminal Justice and will be competing for the Crimson Wave. “His goal is to help the team bring home a National Championship. Calumet has a very solid program and a very good coach. It will be exciting to see him compete at the next level.” said Coach Davidson. Volunteers left to right: Judy Shappie, Fred Drees, Susan Fields, Adela Hoke, Elsie Shappie, Diane Yakos, Karen Doseck, and Connie Stammen. Not Pictured: Beulah Fine. Versailles Health Care Center is a skilled nursing and rehabilitation center that offers short-term rehab services, outpatient therapy, and long-term care. If you would like to join the volunteer program at the care center, please call Candy Stump at 526-5570. Spring has finally made its way to Ohio. Individuals can be observed walking or riding their bikes. Spring is a time to spruce up our yards and plant gardens. This time of the year individuals can be seen taking care of the outside of their yard, but it is also a time to take care of yourself if you have diabetes. Remember to test your blood glucose level. This will help guide your treatment plan by determining the effects of activity, food, and medication on glucose. 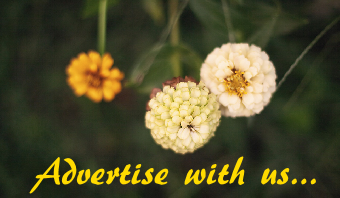 It also helps to prevent hypoglycemia. Do not forget to take your medications as directed. Uncontrolled blood glucose can affect your heart, kidneys, nerves, mouth, feet, and eyes. Take into account screenings which can help with diabetes control: home blood glucose testing, Hemoglobin A1c, blood pressure, lipid panel, dilated eye exam, kidney tests, foot exam, dental exam, and immunizations. Also remember to include physical activity and exercise daily. You do not need to run a marathon to lower your blood glucose. You may consider walking for ten minutes three times a day. Take into account for every minute of activity/exercise, you will lower your blood glucose about 1 point. The Cancer Association of Darke County will hold their monthly support group meeting on Thursday, May 1 at 7 p.m. at Wayne Health Care on the first floor in the Board Room down past the lab area. Dr. Jones will be speaking about “FACT OR FICTION ~~ PETS AND PET CARE.” Come and test your knowledge. 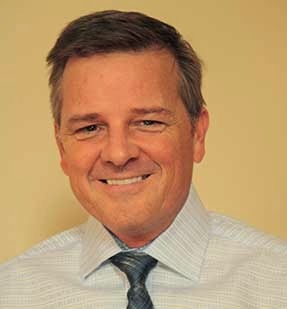 Dr. Jones is a 1987 graduate of The Ohio State University College of Veterinary Medicine. He has owned his own small animal practice in Greenville since 1989. He is a member of the American Veterinary Association and the Ohio Veterinary Medical Association. In addition to practicing veterinary medicine in Greenville Dr. Jones has, for the past 12 years, taught police officers first aid for their canine partners at a Canine Unit Training Center in Wapakoneta, Ohio. He consulted on the set up of companion animals at the Brethren's Home and continues to care for the pets there. Dr. Jones has 3 children, 2 stepchildren, a new grandson in Illinois, and a granddaughter who loves to visit "Grampa" at work. He resides in Darke County with his wife, Kathy, 3 dogs, 4 cats, 2 horses, and a flock of homing pigeons. Cancer survivors, patients, families and those concerned about cancer patients are invited to attend. Refreshments will be served. The Cancer Association is affiliated with United Way. The Corporate Sponsors (so far) of 2014 are: Wayne Builders, St. Henry Tile Company, Berne Ready Mix, American Legion Post 140, Second National Bank, Women of the Moose 102, Leis Realty, Shrader’s and Men of the Moose. For questions, contact Christine Lynn, Exec. Director, PH: 937-548-9960 or email director@cadcinfo.org. local historic sites on the walking tour map. The Arcanum Wayne Trail Historical Society is celebrating their 10 years existence this year as a historical society. As part of the celebration, the society house will be open on Saturday, May 3 from 9am until noon. The historical society is located at 123 W. George St. in Arcanum. The public is invited to attend and a special invitation is extended to all volunteers and people who helped with the rehabilitation of the house. Tours of the house, displays, and a history of the building and the Arcanum Wayne Trail Historical Society organization will be available as well as refreshments and two walking maps of historic sites of downtown Arcanum. Maps located at historical society as well as display in Arcanum Library. This is also part of May’s National Historical Preservation Month local and community events. Fort GreeneVille Chapter DAR awarded students at St. Marys School for their participation in the American History Essays Contest. Twelve students in 7th and 8th grade wrote essays titled "The Lives of Children During the American Revolution". The winners Athan Whitney and Hayley Maher, 7th and 8th grade respectively, were presented their awards by DAR members Susie Brewer and Helen Wright. Afterwards the chapter hosted a pizza party for the students. The topic for 2014/2015 DAR American History Essay Contest is “A Child’s Journey through Ellis Island”. The year 2015 marks the 125th anniversary of Ellis Island as an immigration station. On a typical day, immigrants arriving on the island could expect to spend up to seven hours in processing activities intended to determine whether or not they were legally and medically fit to enter the United States. Imagine yourself as a child traveling through Ellis Island in 1892. Essay participants will be asked to write "How would you describe your experience to your cousin who has never heard of Ellis Island?" All 5, 6, 7, and 8 grade students in a public, private, or parochial school, or those who are home schooled, are eligible. Also there is an American History essay contest for grades 9 through 12 in public, private, or parochial schools, or those who are home schooled. The 2014/2015 essay topic is “Joining Christopher Columbus on His Voyage to the New World”. Imagine you have been chosen to join Christopher Columbus’ crew as he sets out for the New World. What are your thoughts and feelings as you prepare for this potentially hazardous mission? What skills do you possess that are essential to your success and survival? Why do you want to go on this voyage and what do you hope to gain from this experience? Any students or teachers interested in participating, please contact 937-548-1040 or fortgvchapter@yahoo.com. The deadline for the 2014-2015 essay contests is November 1, 2014.